Small Packages with Stampin Up! 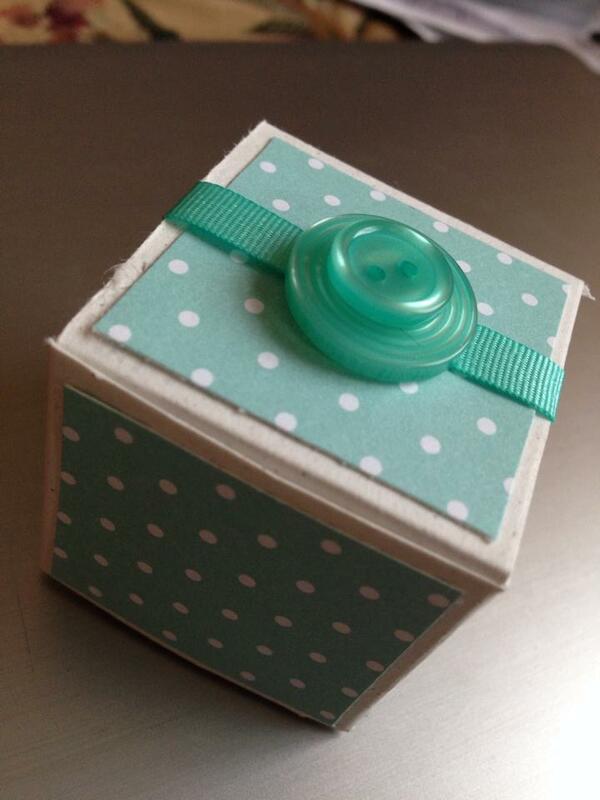 Quite a while ago, I designed a tiny box to hold lip balm, originally with a wrap-around label showing the product ingredients. Well, you know what it is like when you get five minutes to yourself and you get itchy fingers? There I was sitting with my feet up and I suddenly got the urge to turn the box into something suitable for a tiny gift. Recently, my lovely upline Sam, sent me some gorgeous Stampin Up! Designer Series Paper, and during Sale-A-Bration I got my grubby little paws on some ribbon and buttons, which just happen to be in the same colours as the paper. With that lovely co-incidence in mind, I took the box, cut some of the DSP which I put on the sides of the box. 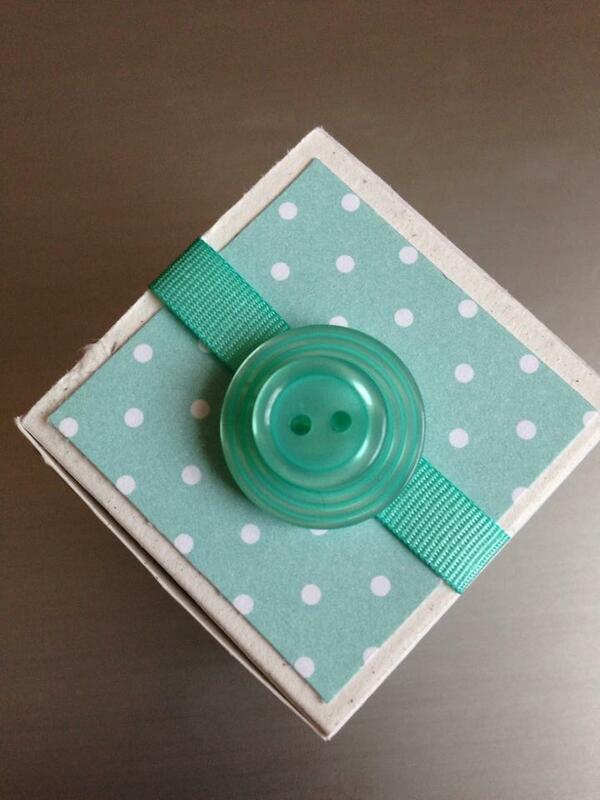 Then I cut a piece of ribbon which I put around the box and finished with a couple of buttons. Simples!